Cisco has announced that its users can now quickly and easily block all employees from accessing websites containing images of child sexual abuse. A blacklist of domains and URLs containing images of child abuse is maintained by the UK’s Internet Watch Foundation (IWF). The IWF is a non-profit organization dedicated to removing all online images of child sexual abuse and preventing child sexual content from being accessed via the Internet. The list contains domains and URLs hosted all over the world that have been discovered to contain these sexual images, in addition to non-photographic images of child abuse hosted in the UK. In addition to searching the Internet for illegal sexual images of children, the charity mans a hotline that allows anyone to report websites found to be hosting child sexual images. Those reported URLs and domains are then added to the blacklist. The IWF supplies partners with up-to-date blacklists allowing them to easily block the illegal content via their filtering technologies. Cisco has now partnered with the IWF and has adopted its list and added it as a category, allowing the content to be quickly and easily blocked by customers. 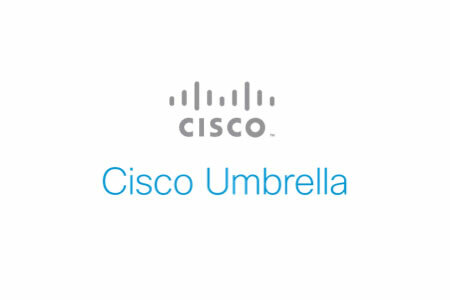 It was already possible to block domains using Cisco’s DNS-based block list technology; however, URL-specific blocks are only possible by enabling the intelligent proxy in Cisco Umbrella policies. The intelligent proxy is a mechanism that allows Cisco Umbrella to intercept and proxy certain requests to access grey domains – Websites that have malicious content on certain webpages. These grey domains are typically very large websites with large user communities, where the bulk of the content on the websites is acceptable and only certain webpages pose a threat. It would not be practical to block the entire site just because of a few pages containing undesirable user-uploaded content. Once the intelligent proxy has been enabled, users can enable the Internet Watch Foundation content category, which can be done through ‘Category Settings’ in the policies section of the dashboard. To test to make sure that this has been done without visiting an illegal website, Cisco has set up a test domain that is included in the IWF list but contains no offensive or illegal content. (http://proxy.opendnstest.com/iwf.htm). If that URL is accessed and the content control has been set correctly, a block page will be displayed. The new IWF list can only be used to block content by users of Umbrella Insights or Umbrella Platform, as they are the only packages that feature the intelligent proxy option. Other users must still use the DNS-based blocklist option.